ABS Plastic executive and stress relieving game/toy. 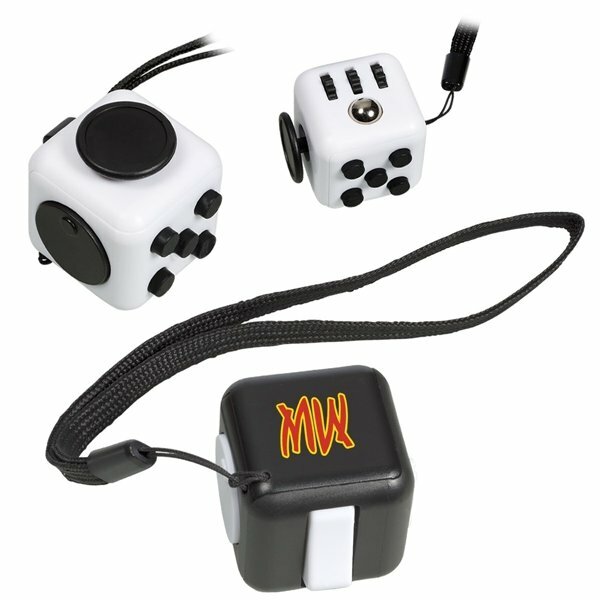 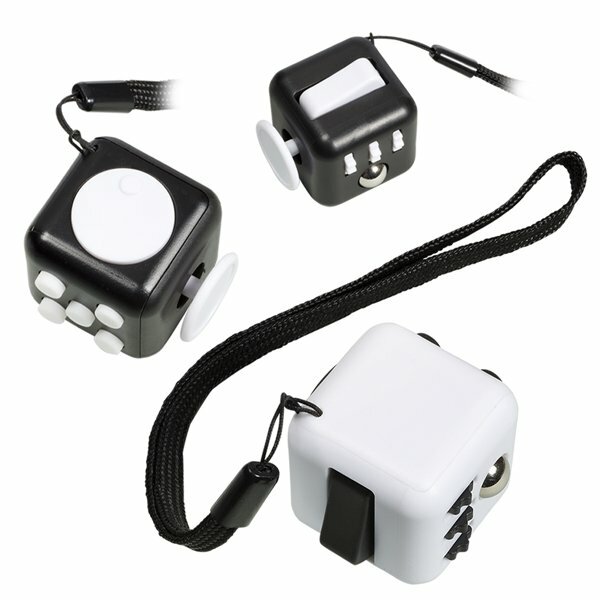 Features 5 stress relieving fidget options: click, spin, flip, glide, roll. 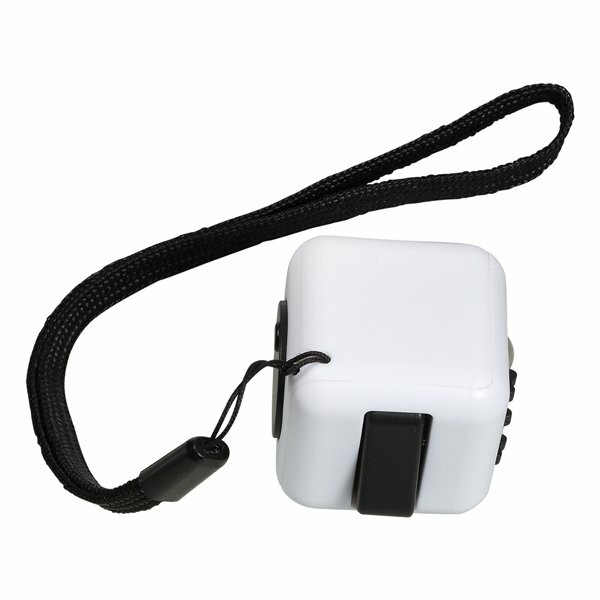 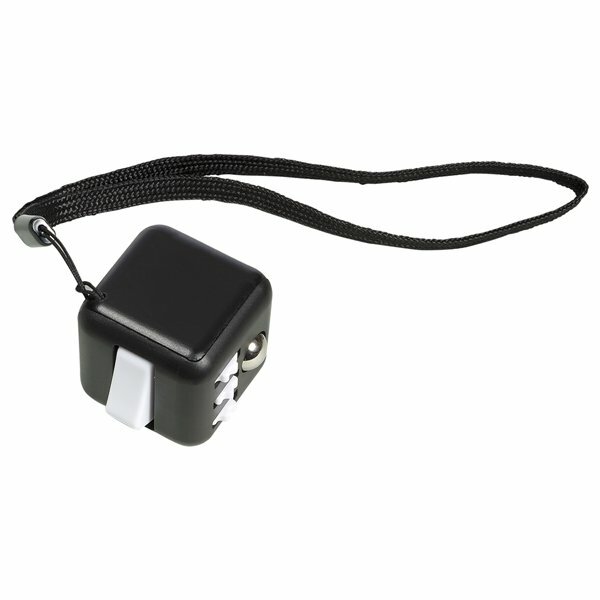 Black Polyester wrist strap included (7.75"l x 0.25"w), ships assembled.